Crown Marquees emerged from the Crown Inn, a character pub situated in Old Oxted. Mick was a Contracts Manager working in the Construction Industry and Alan ran the Crown Inn. When an opportunity came to buy a Marquee Hire company they decided to take the plunge. It is an ideal partnership with Mick running the Marquee management side and Alan the Bar and Catering area. Mick needed to expand his operation to meet his increasing enquiry levels. He had legacy equipment from Roder UK, so any new equipment needed to be fully compatible with it. He wanted to move from 2 to 4 track framework, with framework items that were flexible. With tight margins, Mick wanted to buy the most cost effective equipment that would suit his vision of Quality Clearspan Marquees. He didn’t want to be tied into any one company’s design, so he could spread his business risk. BARKERS Marquees supplied Crown Marquees with a series of Continental Clearspan Marquee Parts, pleated, ivory Linings and many custom built accessories for particular jobs. Mick chose the Flexiframe system, which allows him to use his framework items as uprights or beams and to build a variety of spans. Continental Clearspan Marquees are fully compatible with leading UK and European Marquee Manufacturers such as Roder (UK & HTS), Tectonics and Custom Covers. Crown Marquees provide marquee hire for any social or corporate event. Their management team have over 20 years experience each in the marquee, licensing, catering and events industries. They focus on the traditional business principles of giving maximum levels of customer service at competitive prices. They pride themselves in attention to detail, and most importantly, listen to their client’s requests. Their marquees are all of the modern Clearspan variety, which do not require any central poles or side guy ropes, and can be erected on soft or hard standing surfaces, out in the open, or tight up against buildings, thus giving maximum flexibility. They can offer a wide range of linings, furniture, floor finishes, lighting, and other ancillary products and services, ensuring they can supply everything required to give their customers that ‘wow’ factor. 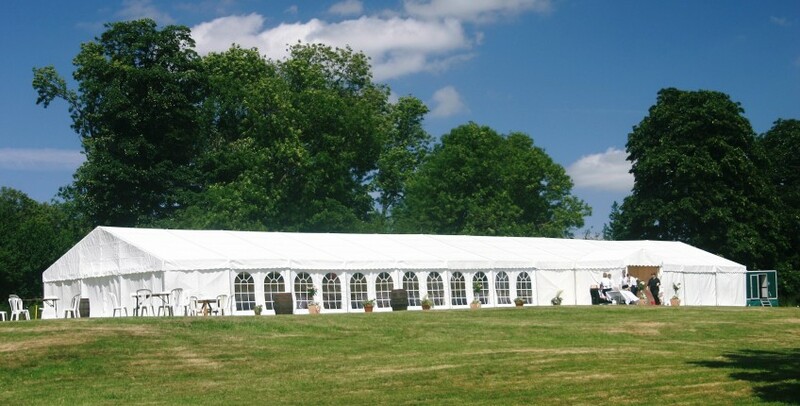 Their aim is to ensure their marquees are exactly tailored to their customers requirements. Whether a wedding, 21st birthday, anniversary, or new product launch, they offer perfection. Quite simply, they are ‘Devoted to Tents and Events’ . Mick is very satisfied with BARKERS Marquees. ‘BARKERS works in lots of ways for me. They are local, so I can easily drop off equipment or pick new up. They have a wealth of experience in the Marquee Industry, so sometimes just talking through a job can be really beneficial. And most importantly their equipment is good quality and competitively priced.